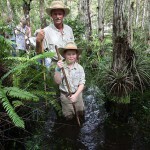 Meet the Butcher Family • Ranger Activities • Guided Swamp Walks All DAY! We are excited to announce the return of our Fall Festival Fundraiser at our Big Cypress Gallery! 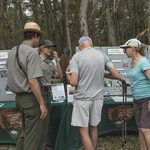 This will be our 6th year working with The South Florida National Parks Trust and the Rangers of the Big Cypress National Preserve to increase awareness and raise funds for the education department of the Big Cypress National Preserve. The guided swamp walks are $50 per person (17 and under are free, no tickets required). 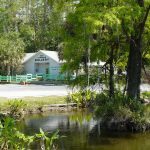 100% of the proceeds support the Swamp Water and Me Program (SWAMP) in Big Cypress National Preserve. Space is limited. Walk-ins are welcome, however admission to a walk will be based on availability. To ensure that you get to participate in a swamp walk, please sign up ahead! Please call 305-665-4769. We’d like to say thank you for all those who joined us over the past five years, you helped raise over $35,000.00! It is our hope that each year we can increase awareness and help earn more money for such a worthy cause, we would love your help and support in this endeavor!